she is a non-professional ancient Mayan civilization and cultural researcher . 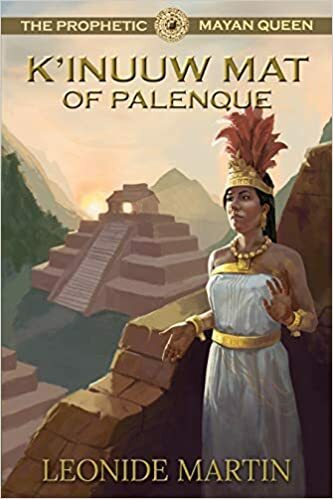 This makes the read very interesting as the Mayan cultural background in this book feels very real and the author literally brings you into the world of the Mayan. I think if an author with little to no knowledge on ancient histories were to write a similar story, I don’t think the story would have felt this real and inviting. The main character in this story is K’inuuw Mat and she is married. As the story develops, she finds out shocking truth about with whom she would have her dynastic heir with. It is her husband’s brother. I love the romance between Mat and her brother-in-law. There will be family conflicts and there is a mounting pressure on Mat to answer the Goddess’ mandate to preserve Mayan culture. As the story develops, what I like the most is Francesca who enters the Mayan village to discover her grandmother’s secrets. It’s a book that brings you to a different dimension. The names of the characters in the book can be a little difficult to pronounce and they don’t really stick on my mind. But, other than that, I enjoyed reading the book. A 4 star for this book! Thanks for hosting! I’m so glad you enjoyed the book! Really appreciate the review and your hosting during my virtual book tour. It does take enormous study of ancient cultures such as the Mayas to understand their world, and I’m so glad you recognized that. I also think the Field Journal of Francesca is one of the most fascinating aspects of the book, and brings readers into contemporary Maya life. Many thanks!